endless summer days spent by a pine tree-lined lake when you think of Scandinavia, it has to be said that this northern region really comes into its own in the winter. Scandinavians don’t just have winter, they do winter. And they do it well. A big part of getting through a four-month winter is by having some great, nutritious, homely food to look forward to every day. That, and the candles, of course. If you’re looking to inject some Nordic winter magic into your life – or at least, your dining room – then read on. After you’ve been out for ham, cinnamon, mustard and herring, of course. Get decorating… white, natural, monochrome or red! Eighteen hours of darkness can get gloomy, which is one of the reasons why Scandinavian Christmases feature a lot of red and white to cheer everyone up. Red table runners, plates, candles, napkins – whatever you usually dress your table with – get a red and white version. And if you love natural tones and elements just like us then get white, green (leaves, branches, herbs) and wood! 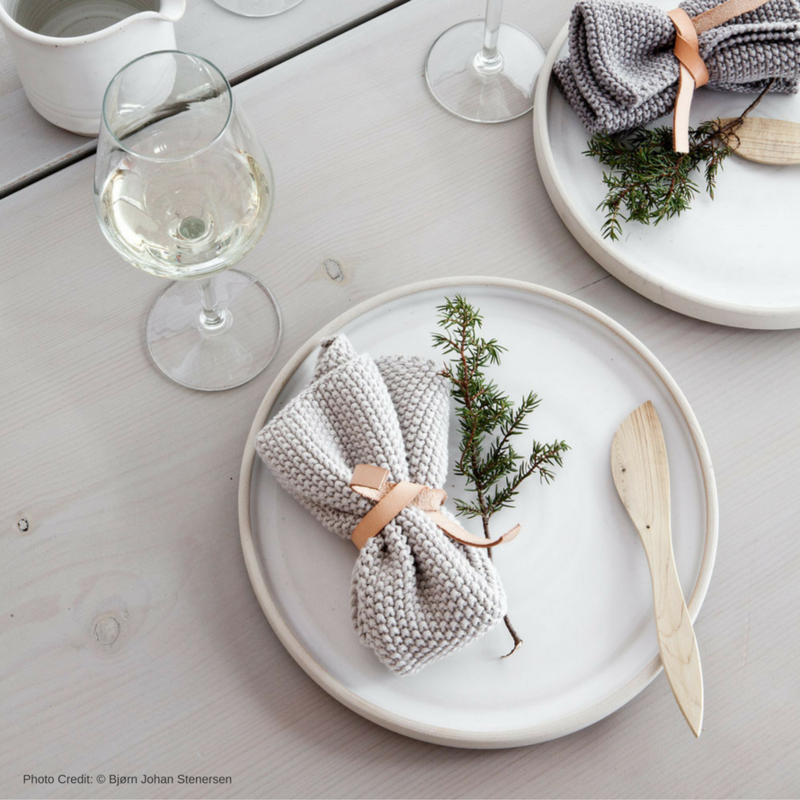 Check out our Pinterest page for Scandi Christmas inspo and great DIYs. Nothing spells Nordic cosiness like a collection of candles – on the table, on the windowsills, in lanterns inside and outside the house, in the fireplace… Life is just not the same without candles. Scandinavia is famous for its spiced wine, glögg. It’s red wine and sugar mulled with cardamom, cloves, cinnamon and maybe even some almonds and raisins. It’s very warming and welcoming, especially when served to guests in a simple glass and metal cup. It’s all about the pig at Christmas time! There are hundreds of recipes for Scandinavian-style ham online, so take your pick and then get busy with potato salads, beetroot and horseradish and gingerbread. Lots of gingerbread. For simple fare you can’t beat slices smoked salmon, rye bread and dill, as well as some capers and boiled potatoes smothered in butter. It’s simple, yes, but you’ll find it irresistible and so will your guests. Only 10 days to Christmas, get started!